The liver is a dark red and firm organ. 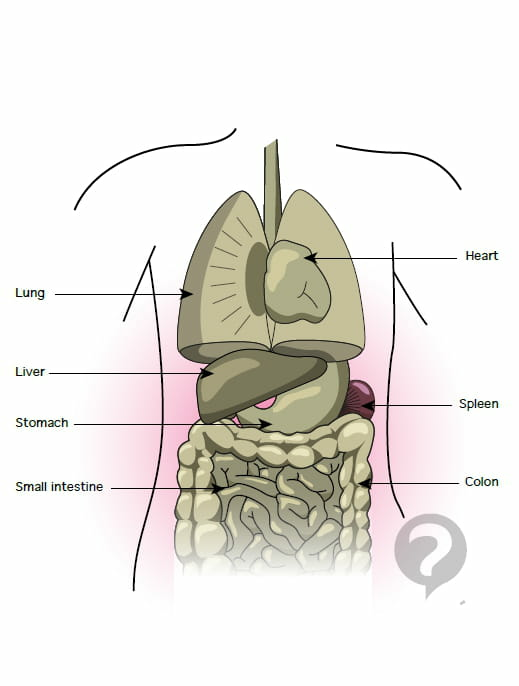 This is the largest gland in the body and performs a large number of biological functions. The liver is on average 11 inches across and weighs about 4 pounds. It is filled with blood (800 to 900 grams on average). This makes the liver, the most voluminous organ in the human body. The liver consists of two lobes, the right is the biggest. It is located near the right lung and heart. The liver is connected to the largest veins: the portal vein that drains blood from the digestive organs and the spleen to the liver, and the hepatic veins that drain the blood out of the liver into the inferior vena cava and then to the heart.